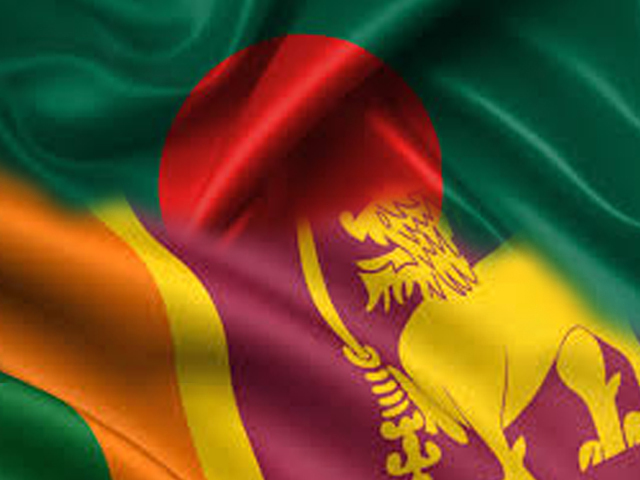 Home Sri Lanka - Bangladesh FTA by March? Sri Lanka - Bangladesh FTA by March? Sri Lanka and Bangladesh are likely to sign a free trade agreement (FTA) in March next year, the Commerce Ministry said in a statement on Thursday. The FTA will boost trade and pave the way for a huge cross border cargo transshipment via the Port of Colombo. China's Xinhua reports that Bangladesh's Commerce Minister Tofail Ahmed, who is in Sri Lanka on an official visit, said that the Sri Lanka-Bangladesh FTA will become a reality when Sri Lanka's high-level leaders visit Dhaka in March. "Today both sides completed trade discussions successfully," the Bangladesh minister said. "The Shipping Ministry of Bangladesh is also cooperating in this. We decided to use Colombo port in our future transhipments as we feel other regional ports to be expensive," he added. Through its feeder vessels, Bangladesh has already transhipped to the United States and Europe via Port Kelang, Singapore and Colombo. Transhipments to Europe, the Middle East and the United States via the Colombo Port are considered to bring in great savings for Bangladeshi exporters, saving as many as four shipping days to the US alone, the minister said. Sri Lanka's Minister of Commerce Rishard Bathiudeen, during discussions, invited Bangladeshi companies to invest in state pioneered projects in Sri Lanka, as well as in the country's apparel industry. Total bilateral trade between Sri Lanka and Bangladesh, which stood at US$48 million US dollars in 2010, has grown to US$131 million dollars by 2015. Sri Lanka's exports to Bangladesh have seen a steady increase in the past five years. In 2013, it recorded the highest increase of 45 percent.